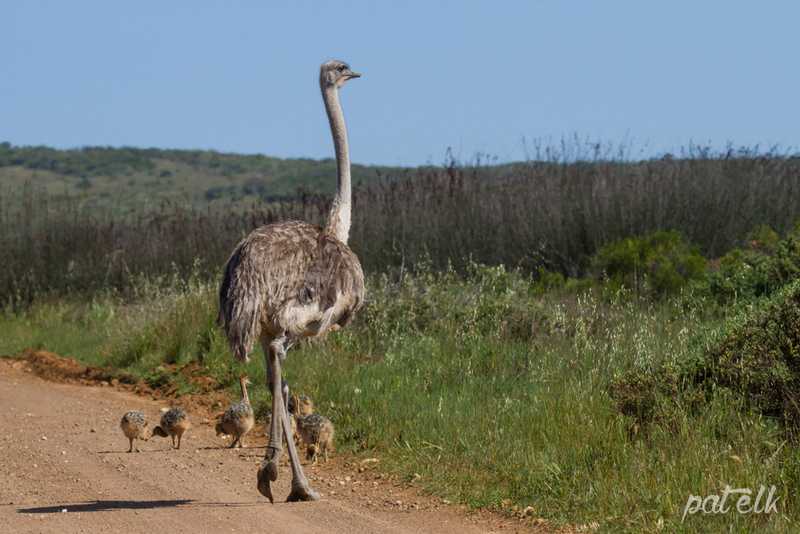 The Ostrich (Afrikaans name Volstruis) is a huge flightless bird found mainly in savannah and semi-desert regions. We saw this female at the Cape Point Nature Reserve, she was on the beach picking at the bits of greenery growing there. 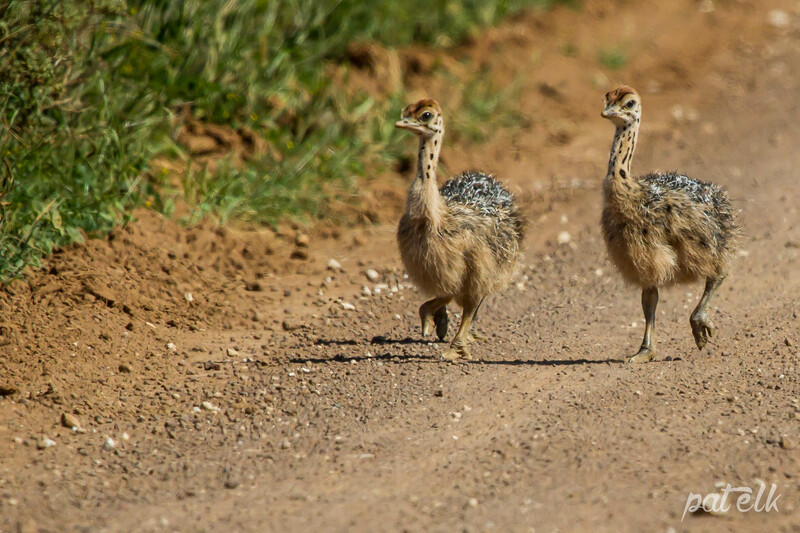 We came across these cute Ostrich chicks running along the road in the West Coast National Park.